Measuring cups comes in fun colors, have an easy pour spout and sturdy handle for comfort. Has both ounces and milliliters markings on each side. Comes in 4 pastel colors: pink, blue, yellow and green. Is packaged loose with artwork label. Can hold up to 28 ounces. 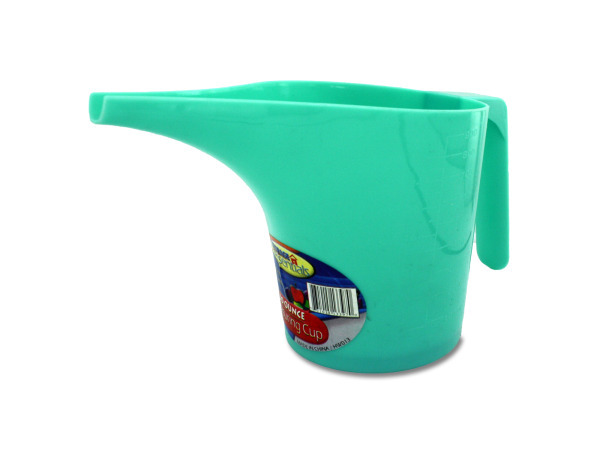 Measures 4 3/4" tall with a 2 1/2" spout.